As experts predict, 2013 will be a turning point for PaaS, and dotCloud is another platform gunning for market leader Heroku. "We're the Pepsi to Heroku's Coke," said dotCloud CEO Solomon Hykes. 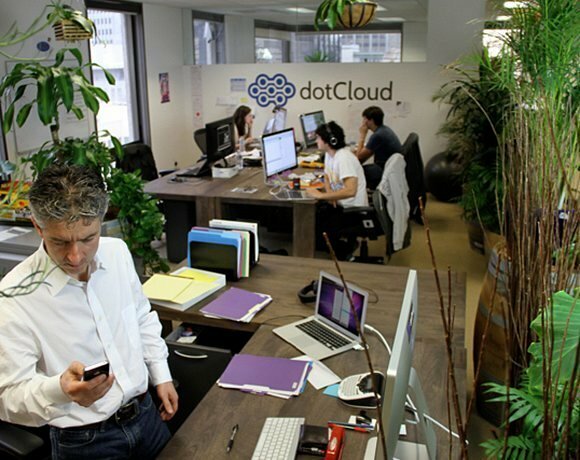 The company, which launched in 2011, boasts tens of thousands of developer customers and is making inroads into enterprises through "guerilla" efforts -- where developers at Fortune 1000 organizations lobby internally to use dotCloud for a specific project. "We're designed for a new generation of cloud-native apps," Hykes said, with a focus on fast performance for Java development. "As the number of cloud-native apps grows and reaches critical mass, that's our market." The price of dotCloud was right for David Runkles, director of design and strategy at Bulb Inc., who says he pays less than $1,000 per month for host staging and production, a MongoDB database environment and video transcoding. "We thought about hosting our own stack using a cloud Infrastructure as a Service provider," said Runkles. "But it would've meant we'd need a full-time employee just for maintaining libraries." The Platform as a Service provider was also the only service available about a year ago that offered a stack that included Java, MongoDB, the Spring framework, the Dojo library and other specialized elements with an uptime service-level agreement (SLA), Runkles said. DotCloud's SLA builds on Amazon Web Services IaaS' 99.95% annual uptime guarantee.